The 2014 Annual General Meeting of Walking SA was held on 30th October 2014 at the Unley Community Centre. 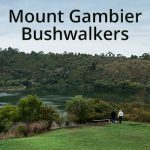 In attendance were representatives of 10 bushwalking clubs, the Heart Foundation, Office of Recreation and Sport, Walking SA Executive Officer and Board members. Reports were provided during the meeting by Narelle Berry (Acting Chair), Ian Budenberg (Treasurer), Bill Gehling and John Eaton. Guest Speaker, Marc de Lange, Adelaide Hills Council, presented an overview of the Trails Network Strategy which is being developed jointly by Councils in the Adelaide Hills region. Walking SA thanks all clubs, individual members, partner organisations and Office of Recreation and Sport for their support during the past year. Thanks to the guys at Nature Play. South Australian Parks are special places that provide a safe home for thousands of plants and animals that are found nowhere else in the world. Hike, ride, swim, climb, camp, play or take photographs at any of South Australia’s great Parks listed below with this free vehicle entry pass! Need some inspiration for where to walk and explore? 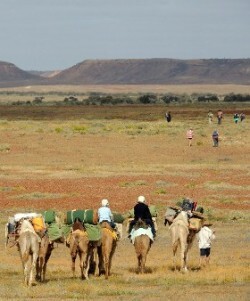 Check out the SA National Parks Guide. Photos courtesy of Play & Go. Our AGM is 7pm next Thursday, 30 October 2014, at the Unley Community Centre, 18 Arthur Street, Unley. Light nibbles and drinks will be provided. Our AGM guest speaker, Mark de Lange from Adelaide Hills Council, will give a short presentation on the Adelaide Hills 20 Year Trail Strategy. The strategy is designed to link townships for commuting purposes, provide unique experiences for visitors and provide outlets for recreational activity. Trail opportunities identified include a mix of walking, cycling and horse riding trails; some for shared use and other trails designed specifically for walking. Read the strategy: Part One and Part Two. 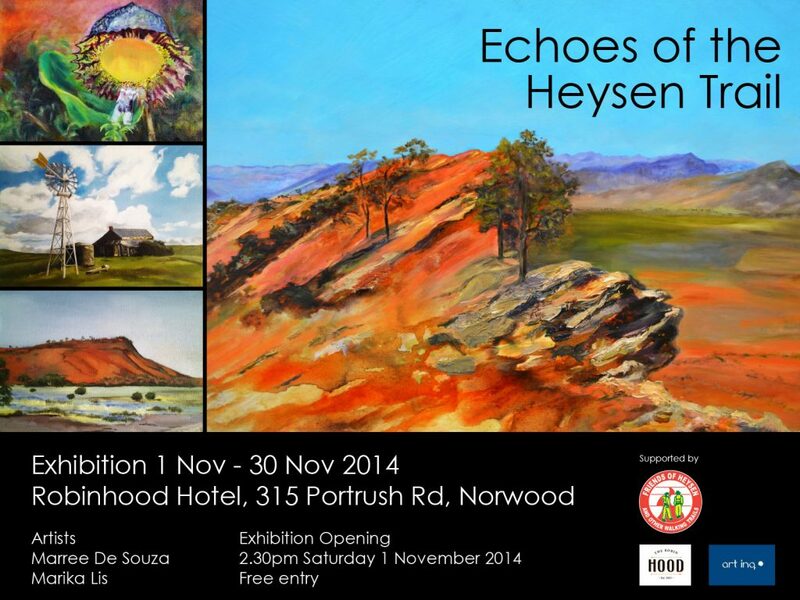 The guys over at the Friends of the Heysen Trail are hosting an art exhibition this coming month. South Australia’s 1,200km Heysen Trail extends from Cape Jervis, on the Fleurieu Peninsula, to Parachilna Gorge, in the Flinders Ranges, traversing coastal areas, native bushland, rugged gorges, pine forests, vineyards, rich farmland and historic towns. A range of paintings on the Heysen Trail available for purchase, varying sizes. 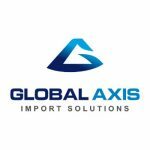 There is a project update published in July 2016. 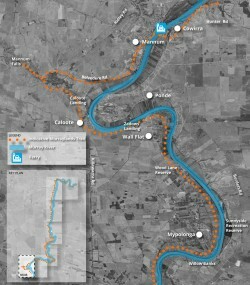 A walking and riding trail along the River Murray is being considered by three councils – Rural City of Murray Bridge, the Mid Murray Council and the Coorong District Council. A feasibility study is underway and input is being sought. The trail could begin in Salt Creek on the Coroong, following the Coorong to the Murray Mouth, then following the meandering River Murray to Morgan via Tailem Bend, Murray Bridge and Mannum. The trail will provide links to a number of iconic and historic river towns, major tourism attractions and other existing trail networks along its route. This feedback survey allows people to view the preliminary trail alignment prior to the land survey commencing. The feedback survey closes 3 November 2014. 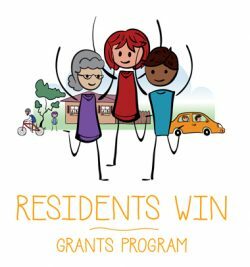 Residents Win is a funding program to people friendly streets and safer roads. Creating a liveable street environment, that encourages walking, cycling and the safe use by other road users help create liveable communities and people friendly streets. Do people feel safe and comfortable getting around in your local area? Or are there road related behaviours that seem inappropriate and make people feel unsafe? Would you like to improve local road safety and help create places that are easy to get around and enjoy? Residents Win can help you identify the most appropriate solutions to increase your understanding of road safety issues and to create people friendly streets and safer roads. Solutions that are then funded might include projects to address specific problem behaviours or a project that might improve the physical environment, or both. The application is easy, and an Ideas Planner is available to develop your idea. 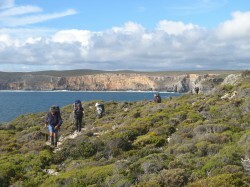 The $5m five-day walking trail that the Government of SA is developing on Kangaroo Island has been officially named the Kangaroo Island Wilderness Trail. The project was announced during the Budget earlier this year. 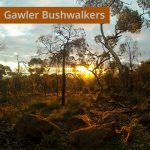 “The Trail will give walkers the opportunity to experience the outstanding natural beauty of Flinders Chase National Park, Cape Bouguer Wilderness Protection Area and Kelly Hill Conservation Park. The trail will lead them to Cape du Couedic light house, Admirals Arch, Remarkable Rocks and Kelly Hill Caves,” said Environment and Conservation Minister Ian Hunter. 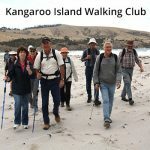 “We expect the Kangaroo Island Wilderness Trail will bring up to another 5000 visitors to Kangaroo Island every year, adding to the 190 000 people who already make the trip,” he said. 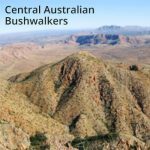 The government hopes the trail will rival other popular walks such as New Zealand’s Milford Track and the Overland Track in Tasmania. The trail is set to be completed in June 2016. The Walking SA Annual General Meeting will be held on Thursday, 30 October 2014 from 7.00pm at the Unley Community Centre, 18 Arthur Street, Unley. The evening will commence with a short presentation from Mark de Lange who will present on the Adelaide Hills Council 20 Year Trail Strategy and Action Plan, the current Adelaide Hills walking trail network, and other Hills walking matters of interest. The strategy is designed to link townships for commuting purposes, provide unique experiences for visitors and provide outlets for recreational activity. Trail opportunities identified include a mix of walking, cycling and horse riding trails; some for shared use and other trails designed specifically for walking. Read the strategy: Part One and Part Two. Please advise your availability to attend, RSVPing via email (office@walkingsa.org.au) by 23 October 2014. Light nibbles and drinks will be provided. We look forward to seeing you on the night. This letter was received from Paul Anderson, Executive Director, Office for Recreation and Sport. It congratulates Walking SA on the successful implementation of the majority of the recommendations of the recent Governance Review conducted by PKF Organisations Development on behalf of the Office for Recreation and Sport (ORS). Your Strategic Plan 2014-16 has set out clear goals for the board to work towards and was an opportunity for the members and other stakeholders to input into the future direction of their association. View the original letter document. I would like to congratulate the Board of Walking SA (WSA) and the previous Chair, Ms Cate Mettam, on the successful implementation of the majority of the recommendations of the recent Governance Review conducted by PKF Organisations Development on behalf of the Office for Recreation and Sport (ORS). The work of the Board has refreshed the image, broadened the scope and set up a structure and strategic direction that has positioned Walking SA to take advantage of opportunities for partnerships and membership growth. 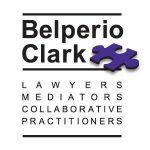 By developing the Charier of Board Responsibilities, the current Board has left a valuable legacy of documentation that supports current and future individual board directors undertake their role. The Charter will ensure clarity about the expectations placed on them and provides guidance for activities and decisions. The creation of a new dynamic website and the successful Walking Expo in March, have provided a new profile for Walking SA and are great tools for promoting your services. 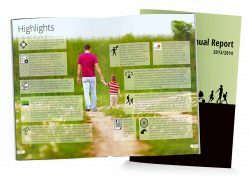 The Find a Walk tool is an offering that demonstrates your commitment to servicing the wider community of walkers. This tool encourages new engagement with your organisation and may build a marketable network of contacts for potential sponsors. I am also pleased to hear of the positive approach you have taken as a representative on the Trails Committee,and your strong relationship with like-minded organisations such as Horse SA and Bicycle SA. I understand that you have also been proactive in supporting the consultation process for the new Adventure Activity Standards. Finally, the recruitment of an Executive Officer will support the Board in the implementation of the strategic plan and to drive initiatives to support current and new members. I understand that your new Executive Officer, Ms Dannielle McBeath has experience in marketing, events and strong networks in media and business. I look forward to hearing the progress of your organisation’s continued growth in the regular internal reports on Governance projects from my staff. 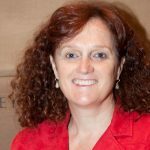 Michelle lngrames, Senior Project Officer – Sport Governance, is your Industry Advisor and will continue to be available to Walking SA, as you finalise the recommendations of the review. Michelle can be contacted on 7424 7729. 9.30am: 5.4km, along the old aqueduct and local golf course finishing at the Eudunda Town Gardens. 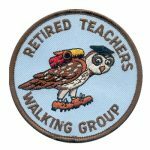 10.00am: 5.4km, reverse direction and start in Eudunda Town Gardens, walk through the golf course to the old Aqueduct to Riemann Road, and walkers picked up at Nicholson Rd and returned to the start. 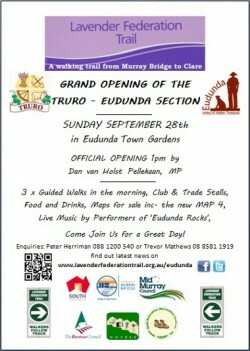 The opening coincides with the 15th anniversary of the first walk on the Lavender Federation Trail in September 1999. Walking SA has warmly welcomed Dannielle McBeath as our new Executive Officer. Dannielle has a strong background in the management of not-for-profit organisations and extensive experience in fund-raising, marketing and promotion. Her skills and contributions will take Walking SA to a new level in coming years. 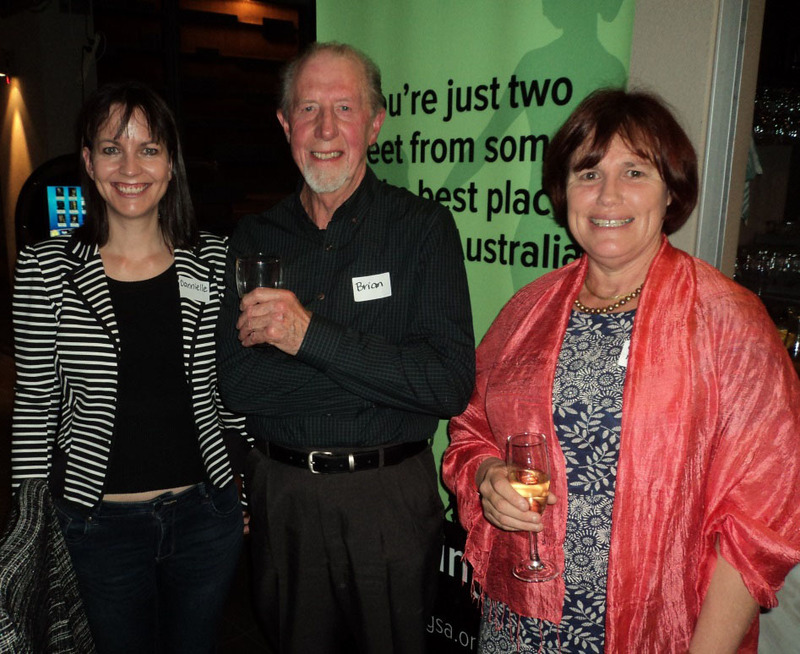 At the recent drinks nights, members also thanked and farewelled Cate Mettam, Board President, and Brian Goodhind, Administration Officer. Cate has retired to spend more time with her family. Her tireless efforts over the past 12 months have been greatly appreciated. Thank you Cate! Brian Goodhind is looking forward to more time out walking now that his office duties have been completed. Many thanks also to Brian for his contributions over the years. 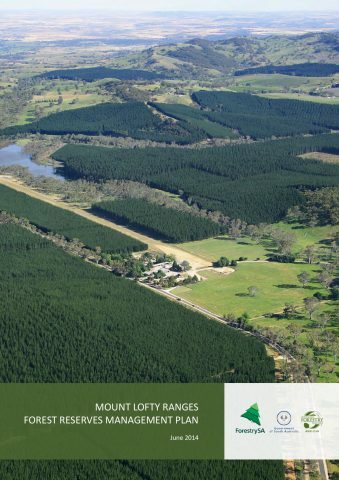 Forestry SA is seeking input about their draft Mt Lofty Ranges Forests Management Plan. Input is being sought from community and volunteer groups, adjoining landholders, indigenous groups, government agencies and local government that may seek to add value to the draft plan. Submissions close 26 September 2014. This grants program is available to walking, recreation and sports clubs to provide assistance with programs and equipment (up to $5,000) from a pool of $2.3m. Applications close Monday 13 October 2014.